This is 3lbs of (about 10,000) Italian Honey Bees straight from the distributor. The bees form a ball around the queen. 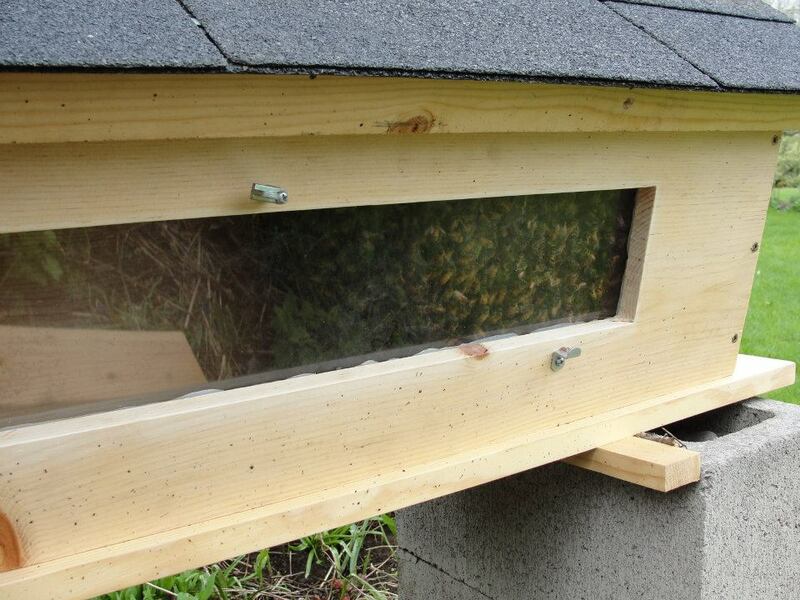 Once removed from the larger bee box, the queen cage is then hung from the bars in the front of the hive. 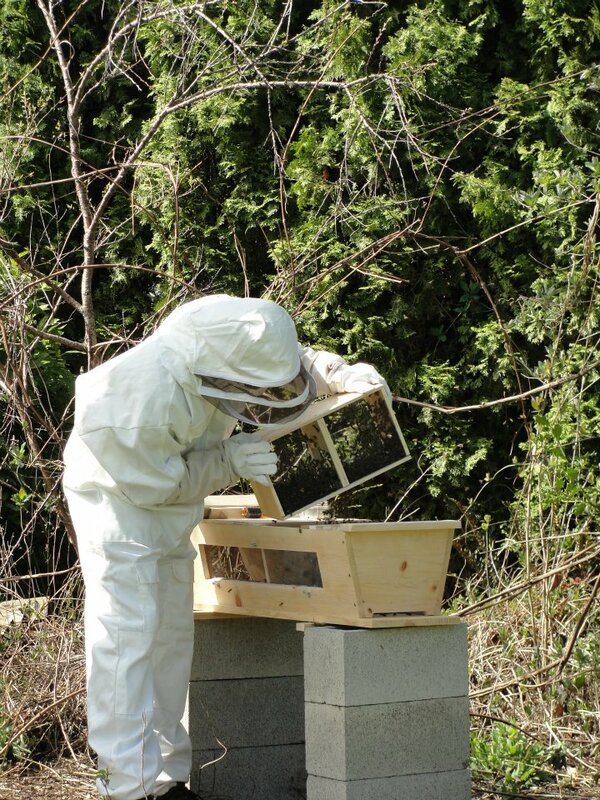 For commercial use queens are bred separate from the hive and added to a group of worker bees. The cage is to prevent them from killing her. After a few days they will accept her as their queen. When installing the queen cage a marshmallow or piece of sugar candy placed in the opening to the queen cage. The bees must eat this sugary substance to release the queen and allow her to join the colony. Once the cage is in position the rest of the bees are dumped into the hive. At this point you can begin closing the top of the hive however it will usually take a few hours for the bees to settle down and enter their new home. Next Pulling weeds is much more fun with wine!